With Bungie’s first ever Destiny release hitting PC in a few days time we have the low-down on all you need to know about the game in one handy article. Now! Preload is already live on the Battle.net client. The game unlocks at 4AM AEST (Sydney) time on Wednesday morning, October 25. For a global list of unlock times, click here. Is the Nightfall/Raid/<Insert Content Here> Live At Launch? The Nightfall will be live at launch. 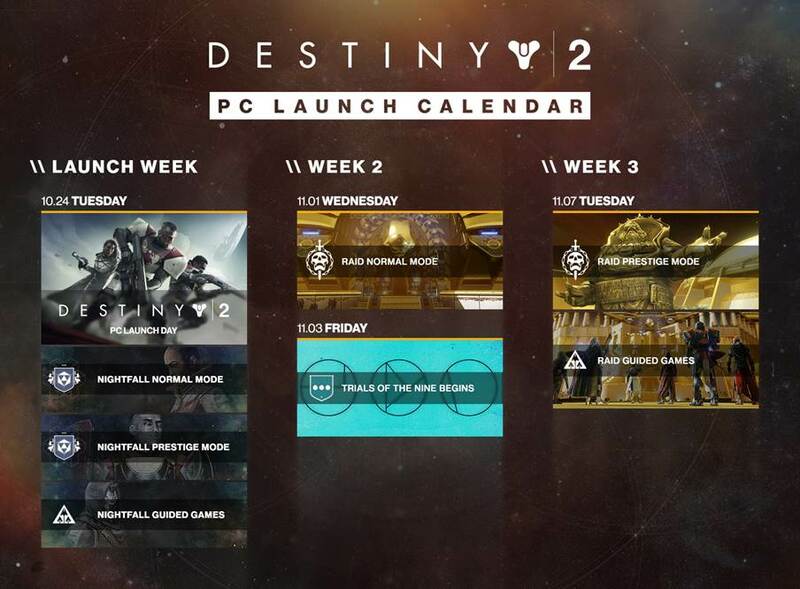 The Normal Mode of the Raid and Trials of the Nine will start on week two (the week of November 1st), and the Prestige Mode for the Raid and Guided Games (matchmaking) for the raid will launch week three (week of November 7th). Destiny Resets are traditionally Tuesdays, and this is looking to hold true for PC. What are the Minimum / Recommended Specs? What about Fancy Graphics Options? Bungie are siding with Nvidia (big surprise these days) on this release, and the Nvidia folks have written a pretty sizeable article with all sorts of fancy graphics options and features if you’re into the nitty-gritty. You can ready about it here. I’m new to Destiny. What class should I play? A Hunter. You should definitely play as a Hunter.